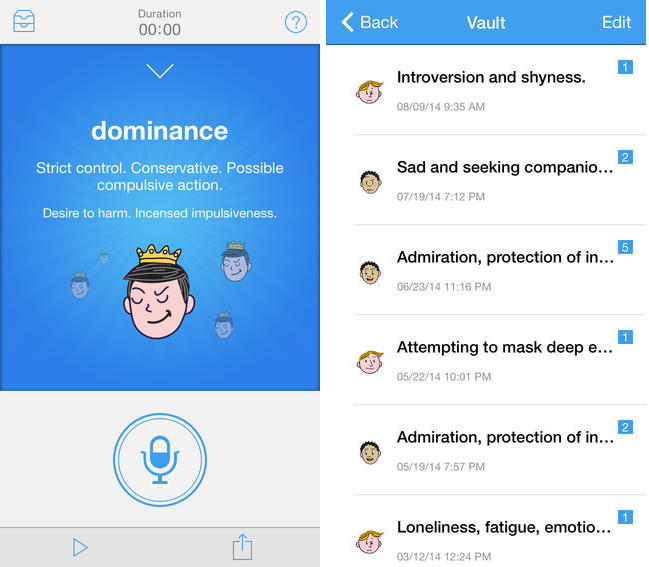 At the start of this year, emotion analytics company Beyond Verbal released an app for iOS devices that lets you anaylze your own speech (or people around you) to give you a better idea of how you’re coming across to others. Now, Android users can do the same. Announced today, the app is available to download for free from the Google Play store and will deliver the same functionality as the iOS version. That is, it can help to give you a better idea of how you’re coming across to the world, or how others feel. To use it is simple, just install it and click the button to start the app listening, after 20 seconds you’ll get your first analysis result and if you keep on talking, it’ll keep on returning results every 20 seconds or so until you stop. In total, it analyzes over 400 different mood variants to return a result across 20 individual mood groups. Results for each anaylsis can then be perused at your leisure, or shared with others, if you wish.